Getting your home’s heating system professionally serviced every year will keep it running smoothly and help keep heating costs under control. Ideally, have your system tuned up in the fall so it’s in top shape for the start of the heating season. “If it ain’t broke, don’t fix it” can be a good rule—but not when it comes to your heating system. Even if it’s humming along just fine, having a technician take it apart once a year to clean the lines and filters and give it a thorough inspection is absolutely essential. 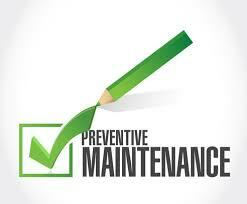 Regular servicing reduces the risk of breakdowns and prolongs the unit’s life. Plus, it saves you money: For every year of maintenance you skip, energy bills jump 5% to 10% because of reduced efficiency. Call us at (978) 486-0904 or contact us online right now to schedule your appointment. Your heating system and energy bills will thank you! Littleton, Acton, Bolton, Concord, Westford, Chelmsford, Groton, Ayer, Harvard, Boxborough, Stow, Maynard, Carlisle, Sudbury, Hudson, Wayland, Lincoln, Newton, Brookline, Wellesley, Weston, Needham, Dover, & Sherborn.